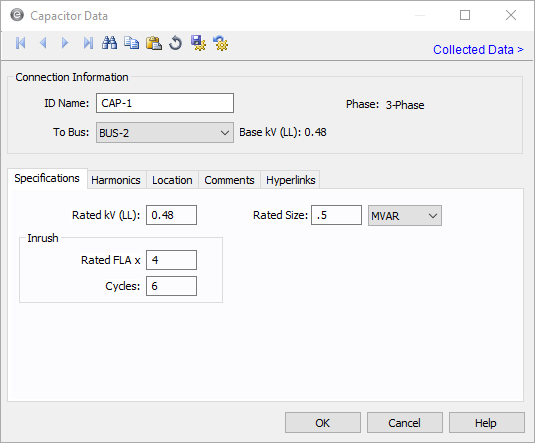 For capacitor, the program automatically assigns the names CAP-1,CAP-2, CAP-3, and so on. Rated kV Capacitor rated kV. This is used to determine the per-unit impedance of the capacitor for a given base kV. Rated Size Capacitor MVAR or kVAR rating at the rated voltage. The unit is specified in the box on the right. Inrush Specify the inrush current and duration for the capacitor. This is used in auto-coordination.